I smile, wondering the exact same thing, and shuffle my three-month-old daughter into the red sling strung across one shoulder, eager to hear Fadzai’s response. One of the baby’s eyes opens suspiciously but she ultimately succumbs to sleep. Still Waters doesn’t seem, to me, to be an obvious christening for this newly formed storytelling sister-circle. Water is such a life force – so all-powerful in its movement and strength. Water floods, drowns, devastates, replenishes and revives. Water slides land, washes away foundations and even erodes stone. Still Waters seems somehow helpless, ominous, melancholy. It makes me think of stagnant ponds and lifeless children, of time standing still. I wonder, am I the only one to hear it. Writing the ‘other’ Black Australia, I tell the sisters of the newly established storytellers group, has been a long and lonely, if productive, road. 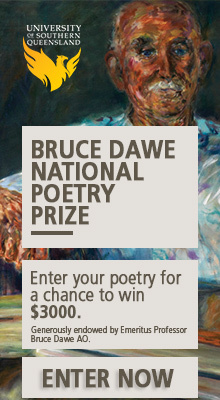 Particularly in the notoriously monocultural Australian poetry scene. Paving a path as a young black female poet writing intensely political, and at times heavily criticised, work about the experiences of African descendents in the ‘new world’ has not been easy. But perhaps the most difficult thing of all has been the absence of sisters whose solidarity would surely have made the road less rocky. Yet here they are now, gathered with me on the couches, cross-legged on the polished wooden floorboards of this small room in North Melbourne: Zimbabwean model and writer Teurai Chinakira, writer Tinashe Pwiti, artist Abby Osia-Ogada (an Australian of Kenyan and Italian heritage), writer and group founder Fadzai Jaravaza, fashion and events co-ordinator Salamawit Mekonnen (of Ethiopian heritage). The group’s supported by Australian lawyer and facilitator Annie Davis, theatre and dance expert Liza Freddi, radio personality and journalist Namila Benson (PNG), and journalist and filmmaker Rachel Maher. It is early days now, and how the group will grow and change in numbers and direction we are uncertain. For now, we are all content hearing each other chant the same incantation. Though we come via different continents, have travelled different journeys and have lived different lives, we are united by storytelling and skin, and ready to start meeting once a month together, writing, workshopping and sharing our work with the world – taking back our tongues. The Still Waters Storytelling Network meets on the third Saturday of every month at the Institute for Postcolonial Studies, and aims to tell the stories of Australian women of African descent. Maxine Beneba Clarke will be documenting their progress on the Overland blog. Beautiful post. Looking forward to following what the Still Waters will mirror. Hey Maxine, looking forward to the updates, if these women are anything like you then I imagine it will become a most formidable group. And, in the Australian Outback, still waters are the most worrisome. Maxine, what a wonderful image of these women gathering together. I look forward to hearing more about Still Waters and I’m very glad you persevered along that rocky road. Thanks for your wondefully supporting comments everyone. Our second meeting was last weekend (am a little behind in writing it up), and even more amazing. I’m quite daggily excited about Still Waters – and it’s great that you all are too! Sounds fantastic Maxine and your words are beautiful. Best of luck with the group.